You were raised to show gratitude, right? We all were, but yet, we all typically struggle with this seemingly easy task. We get caught up in the expectations and the business of life. As the new year gets underway, though, it is a wonderful time to truly understand the importance and benefits of gratitude. Gratitude is the quality of being thankful, with readiness to show appreciation for and to return kindness. Gratitude is not an attitude in our mind. Feeling grateful is an internal experience of fullness and expansion in the heart, an expansion that spontaneously arises from the recognition of love, of goodness, and of grace. When you accept gratitude into your lifestyle and let it become a true part of who you are at your core – which happens over time and with awareness of practicing gratitude – it actually will rewire your brain and provide unexpected benefits to your body. Everyone has a gracious side. 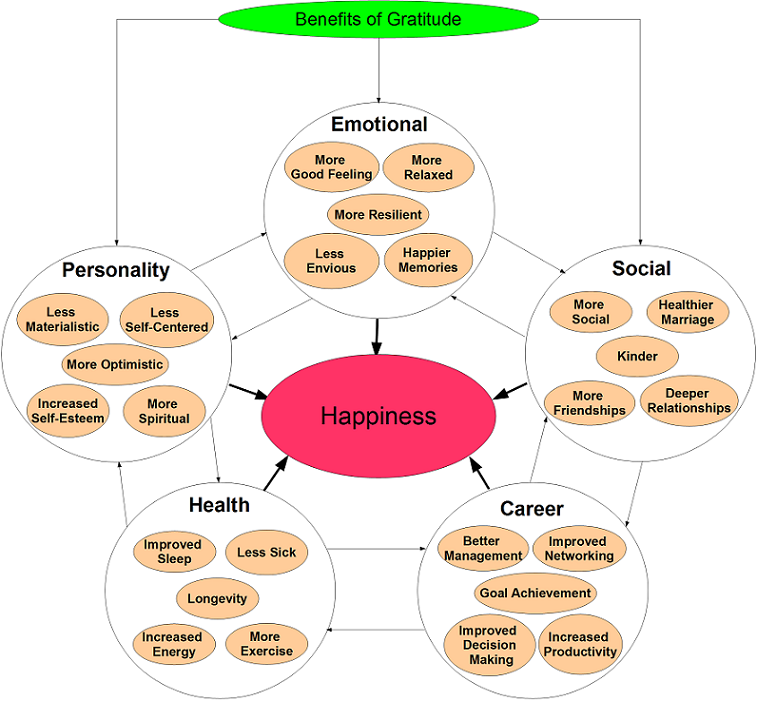 A 2009 study discovered that the hypothalamus (the part of our brain that regulates multiple bodily functions including our appetites, sleep, temperature, metabolism and growth) activates when we feel gratitude, or display acts of kindness. Leading a kinder life evokes a happier, higher functioning body. As we feel gratitude, the chemical dopamine is released in our brain. It doesn’t matter if we are grateful for a person, an item, or an experience, we are granted a ‘high’ similar to what people label a ‘runner’s high.’ This high is addicting and will pull us toward this feeling over and over again. This release of dopamine may also be responsible to reducing pain levels. 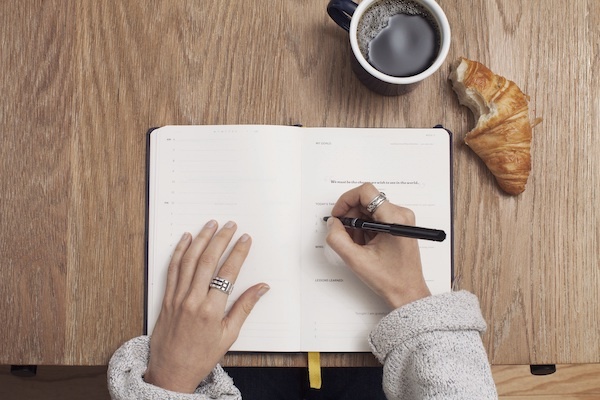 Studies show that keeping a gratitude journal throughout a painful (physically, mentally, or emotionally) time can reduce the overall symptoms. As your brain is the first place that experiences the affects of gratitude, research confirms that appreciation effectively increases happiness and reduces stress and depression. The benefits to your body are not far behind those that impact the brain. Research shows that performing acts of kindness and being grateful may contribute to a longer and healthier life. Grateful people tend to be happier and exercise more than those who are more anxious or reclusive. Gratitude also improves your sleep cycles and increases your self-esteem, leaving you feeling less aggression and anxiety. You will form stronger connections to friends, strangers, or family members as your heart becomes more empathetic through learning gratitude. Research also shows that gratitude not only reduces stress, but it may also play a major role in overcoming trauma. people who were generally nicer. People were also significantly more likely to feel gratitude when their declaration of gratitude would be public. While this all may be true, it is not gratitude at the core. Take the time to notice and respond to the smaller acts. Your head, heart, and body will thank you. My goal for you in 2019 is to exchange self-pity for gratitude. You can choose to write a few sentences in a gratitude journal or notes for a gratitude jar, or simply take a moment to silently acknowledge all that you have, but any way you do it, giving thanks can impact your life for the better. If you are wondering how to lead your children down the path of a grateful heart, start by saying, “Thank you” to them whenever possible. Leading by example, squatting down to eye level, placing a hand on their shoulder, and simply being grateful towards your child will open their world to accept and give appreciation. Dr. Brenda is an actual real life super hero. Dr. Brenda is an actual real life super hero. She is gentle, caring and full of knowledge. Whenever I have an issue pop up, she surprises me with information on how all the things I’ve had going on correlate with one another. She is the absolute bees-knees.